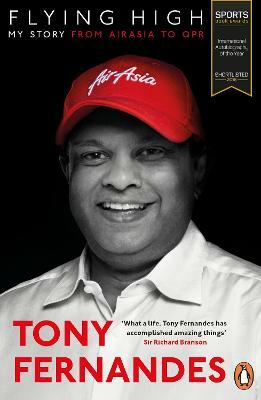 Tony Fernandes studied at Epsom College, UK, and the London School of Accountancy. He worked for Virgin Communications and Warner Music before acquiring AirAsia and relaunching it as Asia's first low-cost carrier in 2001/2. He is currently Group CEO of AirAsia, Chairman of QPR football club and owner of the Caterham F1 team. Tony has been awarded a CBE, titled twice by the King of Malaysia and awarded the Legion d'Honneur by the French government. He has also received awards from major business media outlets including theInternational Herald Tribune, Business Times, Business Week, Fast Company and Forbes. Born in Malaysia, Tony Fernandes studied at Epsom College and the London School of Economics. He worked for Virgin Communications and Warner Music before acquiring AirAsia and relaunching it as Asia's first low-cost carrier in 2001. He is currently Group CEO of AirAsia and Chairman of QPR FC. Tony has been awarded a CBE, has been titled Tan Sri and Dato' Sri by the King of Malaysia and awarded the Legion d'Honneur by the French government. He has also received awards from business media including the International Herald Tribune, Business Times, Business Week, Fast Company and Forbes.